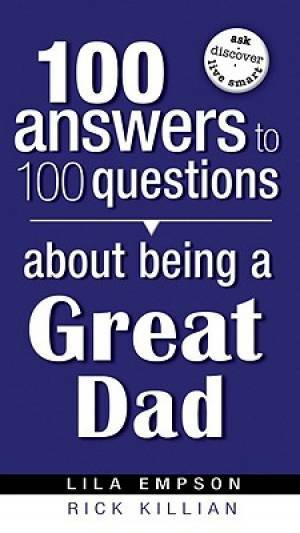 100 Answers to 100 Questions about Being a Great Dad gives you trusted and timely wisdom, insights, and practical how-to’s. After all, it’s inspired by the greatest Father of all! 100 Answers To 100 Questions About Bein by Lila Empson; Rick Empson was published by Charisma House in March 2009. The ISBN for 100 Answers To 100 Questions About Bein is 9781599794785. Be the first to review 100 Answers To 100 Questions About Bein! Got a question? No problem! Just click here to ask us about 100 Answers To 100 Questions About Bein.